Return to the previous usual condition, recover all lost abilities and capabilities, which the man has possessed is defined as rehabilitation. In other words, a return to what is called the natural state or a normal life. It is sometimes argued that the treatment of drug addiction – is an area for practitioners of medicine only. But the continuing studies of the problem of a bad habit are put in serious doubt. There are different versions of rehabilitation. For example, there are special centers and communities. Here, people are treated for a very long time, sometimes for years, being isolated from society. They are given a job that helps to take care of themselves. Many rehabilitation centers are created in the monasteries and churches. And here rehabilitation programs are based on faith in God and physical work. 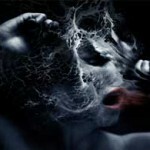 Experts believe that drug dependence is based on the impotence of man before the turmoil of life. Harmful hopeless sometimes seems an insurmountable obstacle and the man puts his hands in front of her and does not use its power to overcome the problem. The second reason lies in the pursuit to change, whatever it takes, anything in your life. 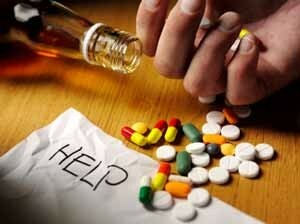 In order to forget not solved problems, a person is looking for ways to relax – he uses drugs. At that point, he still believes that it will help. In fact, such a rash step is the first step to a more serious bunch of problems. One of the main tasks of rehabilitation – is to help a sick person to realize the danger of the chosen path and decide to leave the quagmire of addiction. 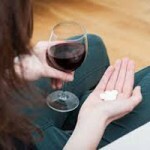 The second treatment task for addicts – is to restore the personal characteristics, lost in the period of drug addiction. The man is taught to live afresh and in fact, to find all skills of existence in the customary, for an ordinary citizen, conditions of moral and ethical standards. The problem is in concrete persons and has a social public character. After all, if you let the problem takes its course and not to engage in it, a bad habit will spread in all society, and destroy it. Some people believe that drug addiction treatment – is a waste of time, because, allegedly, there are no former drug addicts: the disease is not curable. Opinion is deceptive and “works” for the benefit of those who are interested in the further spread of drug addiction. Contrary to the opinion of skeptics drug treatment makes sense. Not only doctors are convinced in this. The proof can be found in the fate of the main witness of success – people who had recently suffered from drug plague, and have found the strength and courage to overcome drug addiction. This path is difficult, long and painful. Experts have divided it into separate steps. It is the most painless. It lasts from three to five days. The task – is to remove physical dependence. At the same time, the addict has a medical examination, the purpose of which – is the identification of diseases, their nature and the degree of damage for the body. Only after receiving an answer to these questions the treatment is assigned. All these procedures are should be done in a drug treatment clinic, at the patient’s and his relatives’ request, outpatient or inpatient. At this stage, the efforts of specialists are focused on the physical and emotional effects of drug addiction. First of all pay attention to sleep disorders, depression, and aggressive condition etc. With the help of computer psychological testing the general picture of the disease is clarified: the degree of biological (physiological) and psychic dependence on drug impact is revealed. The specific characteristics of the patient’s individuality are found out. Therapists and psychologists set up work. They are engaged in securing the patient’s installations of refusal to take drugs. Look for approaches to reorient it to a healthy lifestyle. Doctors are trying to work out the depth of the hidden psychological problems, realize the loss caused by the disease, to understand the nature of its course. Psychotherapists meet with patient’s kith and kin, advice on tactics and behavior of building their relationship with the patient. This period is entirely devoted to the psychological rehabilitation of the patient. They use modern achievements of psychotherapy that have proven the effectiveness in the world, including Psychoanalysis, Psych synthesis, Gestalt – therapy, Erickson hypnotherapy, psychodrama, transpersonal psychology, and various forms of work with groups of self-control and relaxation techniques, including program “12 steps”, collaboration with the patient’s family members. The complex of techniques is designed to give the patient the necessary knowledge and ability to maintain a healthy lifestyle independently, refusing to take drugs once and forever. This is the longest period of rehabilitation. It lasts from one to one and a half years. Its purpose – is to stabilize the emotional state of the patient and to help him stay on the road of recovery. Experts observe the patient’s behavior, conduct group therapy, finalizing plans of personal work to help a person not to break and not return for the second round of narcotic nightmare. The most common for today directions and programs of rehabilitation from drug addiction are faith in God, work therapy, and “12 Steps.” Each drug treatment center chooses for the patient that program, which seems to be most effective as a result of the medical examination. Many centers are working on individual methods of rehabilitation. Which one to choose if trouble came to the family and the treatment is needed? In order not to be mistaken with the choice, you should pay an attention to such details of the proposed method of rehabilitation. Optimal rehabilitation period should last from six months to a year. If the course of treatment is less than six months, this should cause suspicion. The rehabilitation course should include a program of stabilizing at the physical and psychological level. A comprehensive program should include all aspects of a patient’s life, but the condition has a chance to help him to return to normal life in society. As an entry ticket to the rehabilitation center must be the ability to communicate with its former clients who had a positive treatment outcome. What is the sequence of steps of rehabilitation of drug addicts? Optimal rehabilitation period – is from six to twelve months. At least three of these patients are directly in the rehabilitation center. The duration of the term depends on the dynamics of the disease. The addict is in a familiar environment, surrounded by the same people affected by dependence on harmful habits. The only difference is that there are no drugs near. During the first days of staying in the center, the patient is acquainted with the rules of conduct in the institution and the daily routine. He is introduced with a personal rehabilitation plan and his responsibilities. The rehabilitation plan is made on the results of psychological features and personal characteristics of the patient. Doctors acquaint the patient with the degree of the disease, he is gradually “get used” to the society of doctors and patients. Addict receives information about the procedures from a trusted source primarily i.e. from those which have already passed some stages of rehabilitation of people like himself – former drug addicts. Daily meetings with psychologists and counselors help getting used to a situation when you need to stop using drugs, to cope with fear and anxiety, to perceive and empathize in the current situation. The life of a drug addict before a rehabilitation center took place in the mode of constant dependence on drugs; they dictated their behavior, pointed rhythm of life at intervals from one to the next dose. At that time, experts are looking for the possible causes and proactive failures. During the next stage, the patient is mentally prepared for returning home from the rehabilitation center to a family. He shares the experience of staying in the rehabilitation center with new patients, as once recovering patients have done for him. Return to the usual way of life passes slowly, doctors, studying the behavior of a former drug addict, start to let patients home for the weekend. 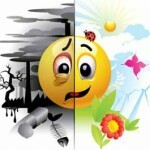 Then the time of staying home is increased: and now the patient visits a rehabilitation center only a few times a week. In conversations with the psychologist the patient shares his feelings and emotions, discusses the problems that occur with his return home, for example, a situation that could threaten the return to a healthy lifestyle. And finally, the rehabilitation passes to a stage of adaptation. 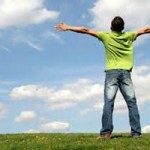 A former addict is gradually attached to the new conditions of existence for him – without drugs. During the meetings with a doctor, a patient discusses “weak points” of person’s contact with the problems of the new conditions of life. The last stage – is communication with the specialists of the rehabilitation center, which for many months of communication becomes his understanding interlocutors and attentive teachers. Of course, no one serious specialist will give an absolute guarantee of recovery. And this is understandable. Only every fourth or fifth out of ten addicts, having passed all the stages of rehabilitation, are managed to control themselves from the temptation to go back to drugs. The others in a few years break and dust down. But you must agree that even if we take the minimum – plus four people in a healthy society – it is small, but a victory. For the health of at least one person is worth fighting for.